As happy things go, they don’t get much better than this. 1. I was awoken by my brother in the early hours of Monday morning to announce that his wife had given birth to their first child, a daughter, Kitty Anna. My sister-in-law was absolutely amazing and the family returned home a mere 12 hours later. It meant that my children and I could visit along with the rest of our family straight after school. 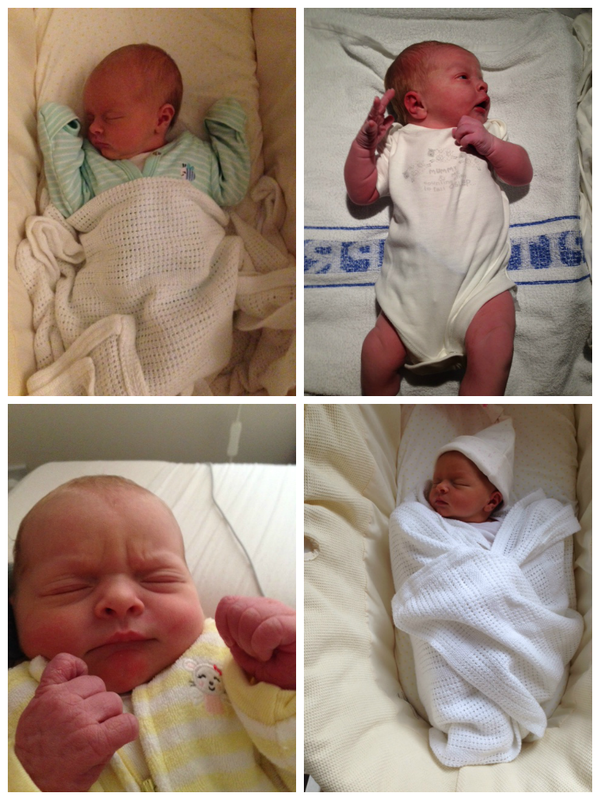 To say we are overjoyed and besotted with this little lady would be an understatement. 2. On October 1st, my business partner and dear friend Sally and I launched our Autumn scarf collection. 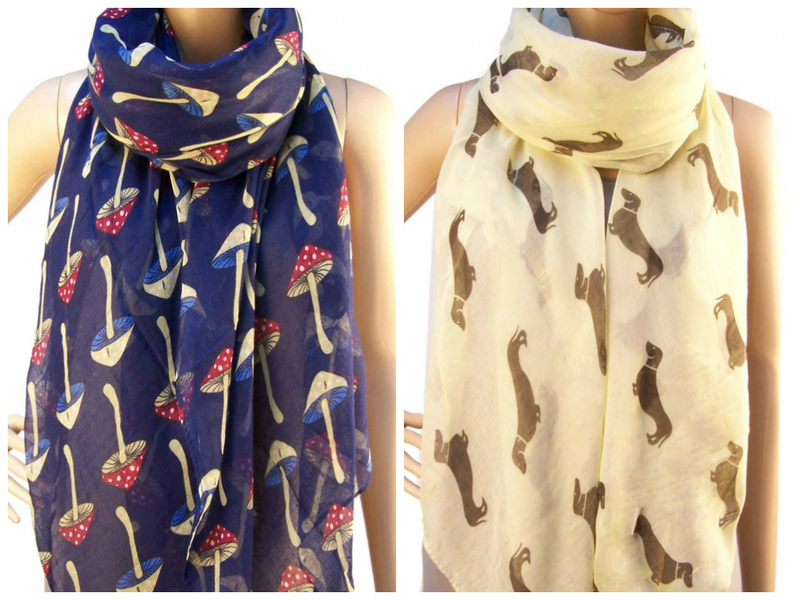 They are selling quickly, especially the quirky sausage dogs and the toadstools. 3. I got a new recipe book, and as a result, my cooking mojo has returned. LibertyLondonGirl Sasha Wilkins’ book is a feast for the eyes and I can’t wait to get my teeth into some of her recipes. 4. Friday was another lovely evening with the girls. This time at my friend Louise’s. Several of us have birthdays around this time so it is the perfect excuse for a get together. We had a brilliant time and I wore a new dress. 5. This is an early birthday card from my friend Sally. The gorgeous Allium B dress I wore for Louise’s on Friday evening. Thank you. Yes, we're all besotted with her.